Noel Kahn is returning to Rosewood! 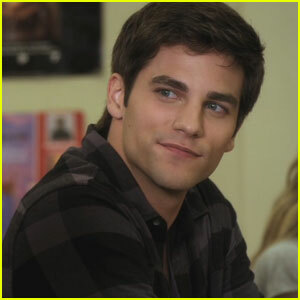 Brant Daugherty is headed back to Pretty Little Liars for the upcoming season, Variety reports. Noel, who romanced Aria (Lucy Hale) and Mona (Janel Parrish), was last seen in Season 5. Back then, he was working with Ali (Sasha Pieterse), but the Liars did not trust him. 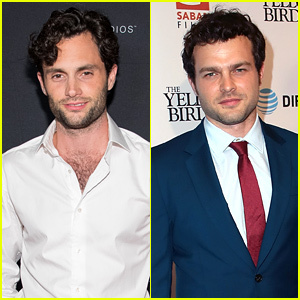 Spencer (Troian Bellisario) attacked him, after he tried to hurt her at her lake house, and then she blackmailed him with incriminating photos. TELL JJJ: What do you think of Noel returning to Rosewood? 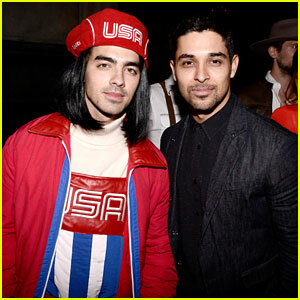 Joe Jonas is covered in red, white, and blue while all dressed up for the 2015 Just Jared Halloween Party held at No Vacancy on Saturday (October 31) in Hollywood. 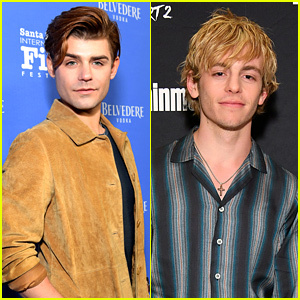 The 26-year-old DNCE singer was dressed up as Chazz Michael Michaels, the character that Will Ferrell plays in Blades of Glory, and he was joined at the event by his pal Wilmer Valderrama, who dressed as himself. Derek Hough was seen hanging out with the guys and he was dressed as a skeleton. Other guys in attendance at the part included Jake Miller as an Olympian, Brant Daugherty as Clark Kent, Sinqua Wills as Fetty Wap, Ryan Beatty as a greaser, and Travis Tope as a dog, as well as actor Stephen Lunsford and singer Matt Carrie. There was a Guitar Hero Live room inside the party where guests were able to battle it out to some of the hottest songs out there. See a photo of JJ‘s Jared Eng in one of the booths below! At first we had no idea what Brant Daugherty was doing in this new pic from his Instagram. 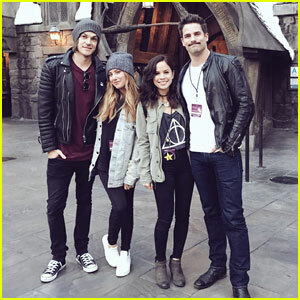 But then, we saw that the 29-year-old former Pretty Little Liars actor got himself a tattoo while on vacation in Chiang Mai, Thailand! Sak Yant is a form of tattooing that consists of magical geometrical, animal and deity designs accompanied by Pali phrases that offer power, protection, fortune, charisma and other benefits for the bearer.